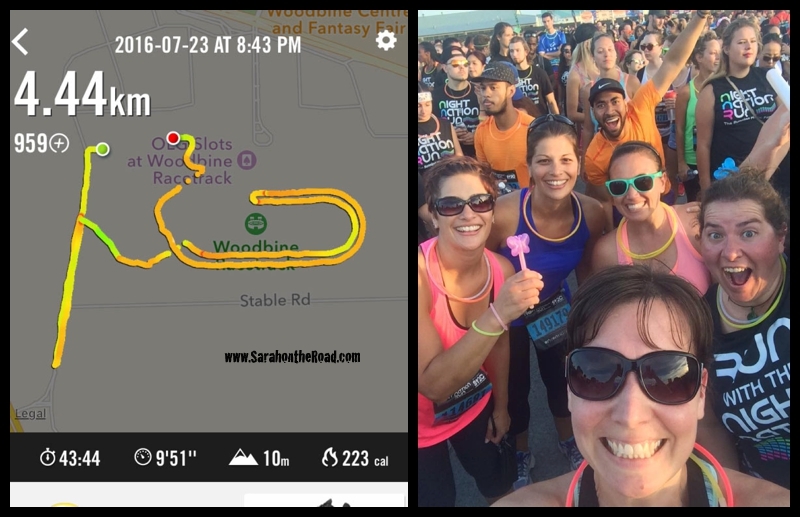 Last Saturday night I participated in a FUN RUN…it was so much FUN! 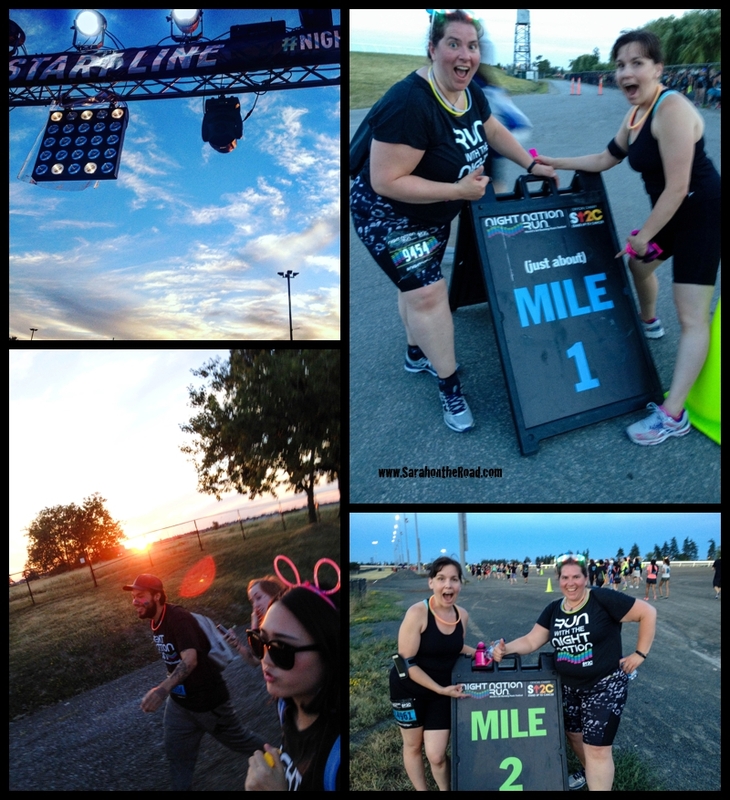 Way back in February….I saw that the Night Nation was coming to Toronto…it was cold and dark so I thought why not sign up for a fun run? Then bring on the actual day… Saturday was a HOT and Muggy night…but there was a nice warm breeze…but it was SO HOT. So what is a Night Nation Run? The Night Nation Run is the world’s 1st Running Music Festival. A 5K musical voyage filled with live music, lights, lasers, and celebration for the lover of Electronic Dance Music. Run, walk, skip or dance your way through this electrifying adventure with music carrying you every step. Your journey will take you through an illuminated racecourse to multiple on course DJ stages, each with its own unique exhilarating party, finishing with an explosive main stage after party featuring top EDM DJ’s and special guest celebrity performers. Michelle kept track of our distance…apparently it was just under 5km… but it was a fun run, so distance didn’t really matter! This is true… I am really enjoying running…but I do RUN for the AFTER party for sure!!!! Thanks again Michelle for joining me…it was fun to party with you! 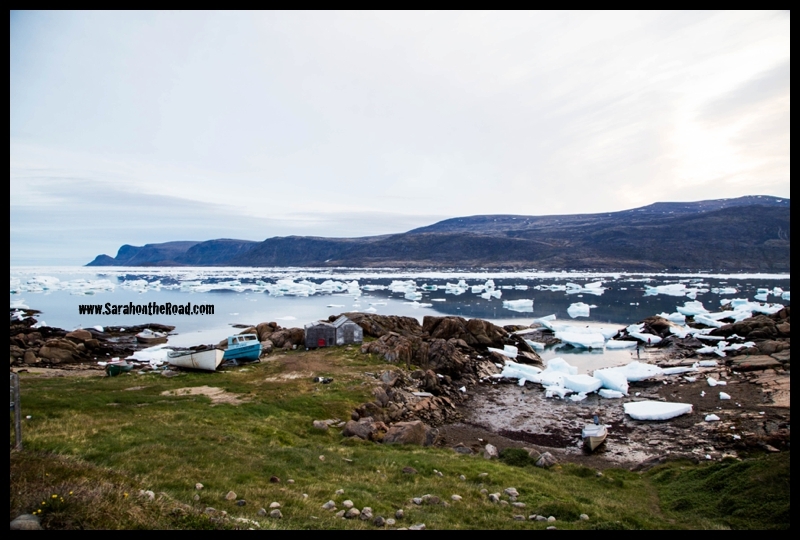 I just hope there is a break in some of this heat soon…because I have learned that I don’t enjoy running in the heat and humidity…and I need to keep on running for my next run that’s happening in September! 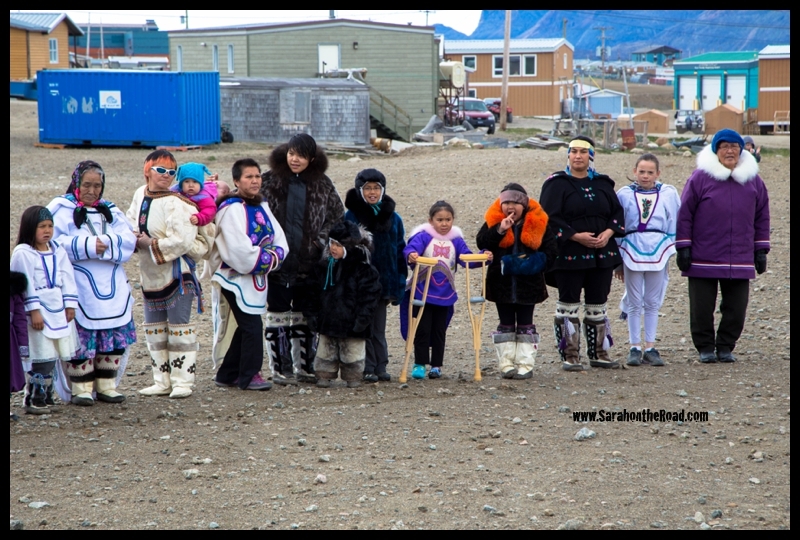 This entry was posted in Friends, Life in Nunavut, Running 101, Whirl-Wind Weekends on July 26, 2016 by Sarah on the Road. 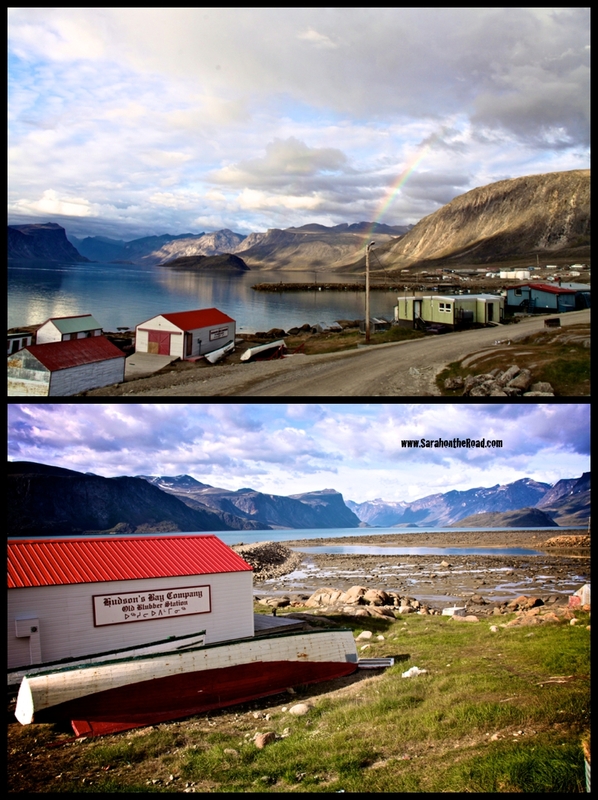 Four years ago today, I woke up in a hotel room in Ottawa…and started my trek north for the 2nd time to live in Pangnirtung. The time has flown by, it seems like yesterday I arrived! Today I am starting a new chapter in my life… it’s hard to type that but with endings come new beginnings. I am flying south back to Ontario. 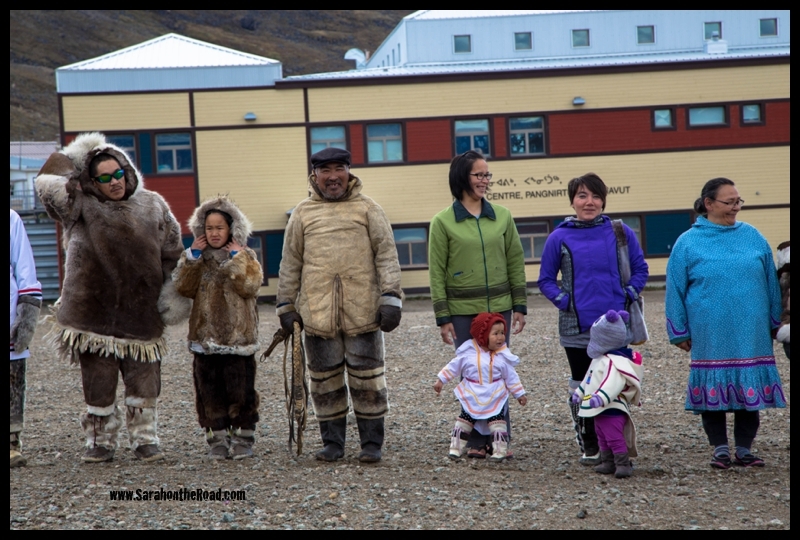 It seems fitting that I will be flying south 4 years to the day that I flew back to live in Pang! 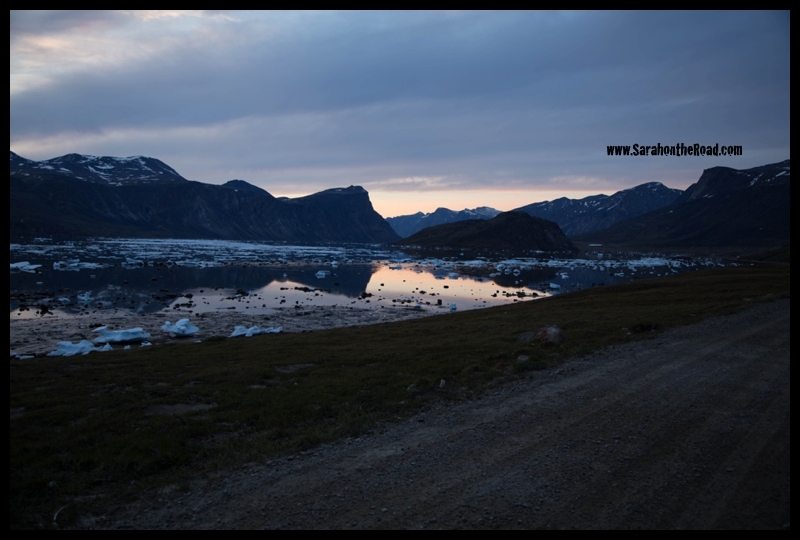 Thanks Maki, Marton and Riina for driving me around….to visit everywhere one last time! 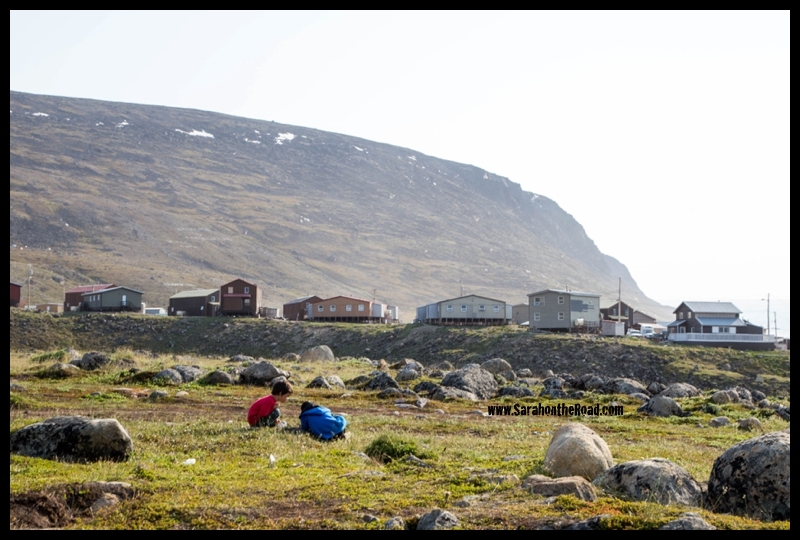 I have been so blessed to be able to call Pangnirtung my home not once but twice…it will hold a special place in my heart forever. 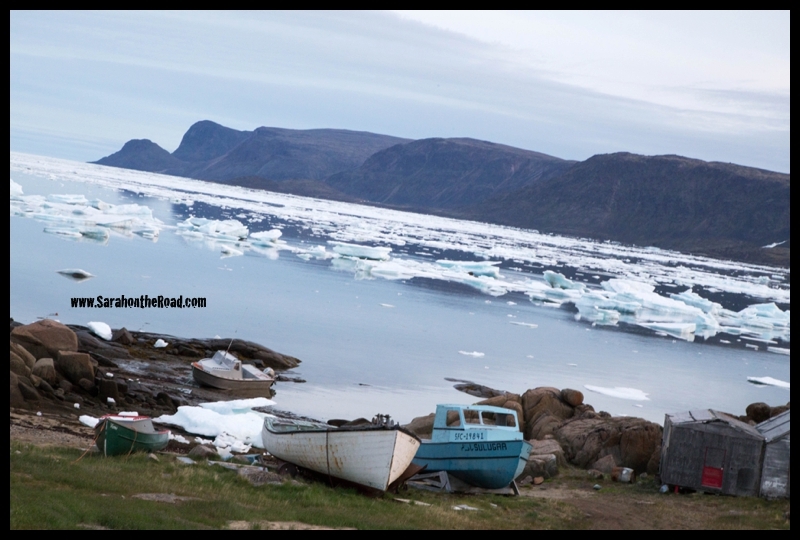 This entry was posted in Life in Nunavut on July 18, 2015 by Sarah on the Road. Last weekend was suppose to be Pang Music Fest. A committee has been working hard all year to re-start this musical festival that was a highlight of the summer but hasn’t happened in years. 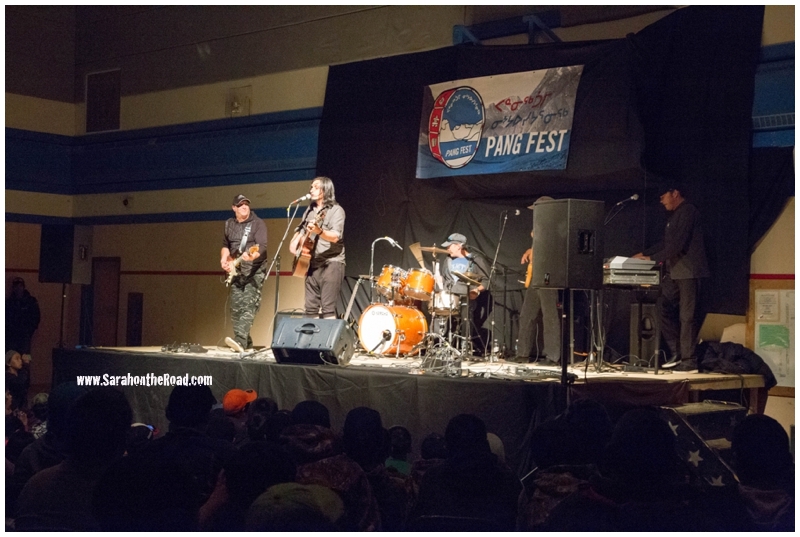 But after a week of really bad high winds, no planes and then fog in Iqaluit which stranded 5 planes overnight here in Pang…let’s just say it was postponed…you can’t have a music festival if the bands playing can’t get into town. It was decided to reschedule everything to this weekend! There were a few people that couldn’t make it because of the weather delays but they have a great line up of groups to play. Tonight I headed to the high school gym and was not disappointed. 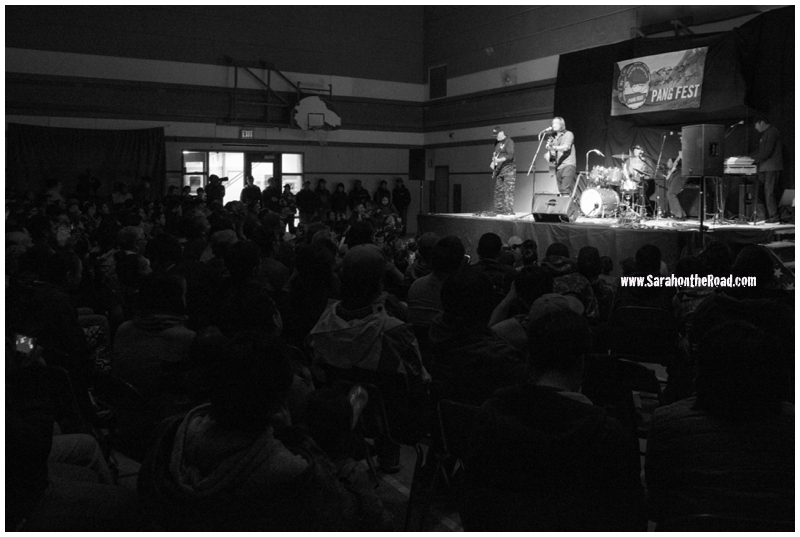 The first act was Northern Haze–they had a really great rock beat to their songs. Some of them made me wish I had longer hair and could still head bang like I did as a teenager at a rock concert. The second act of the night was Saali and the Raven Hearts. 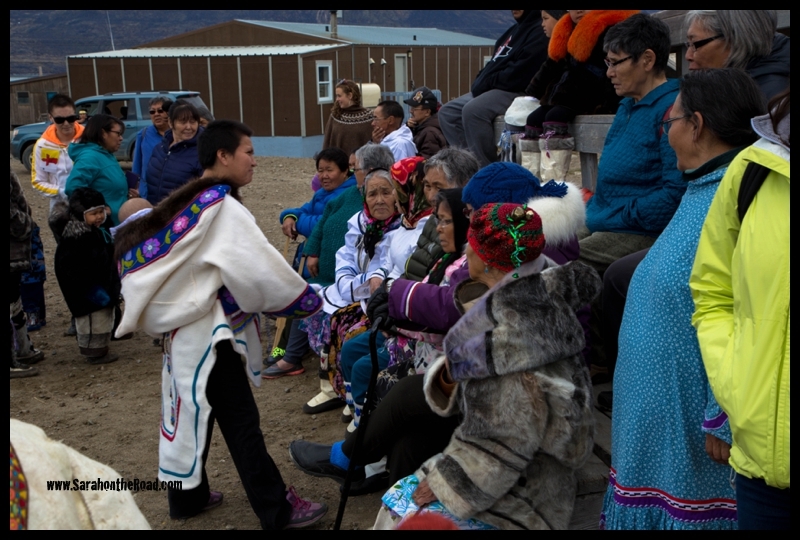 They had a great sound as well…made me want to get on my feet and dance! 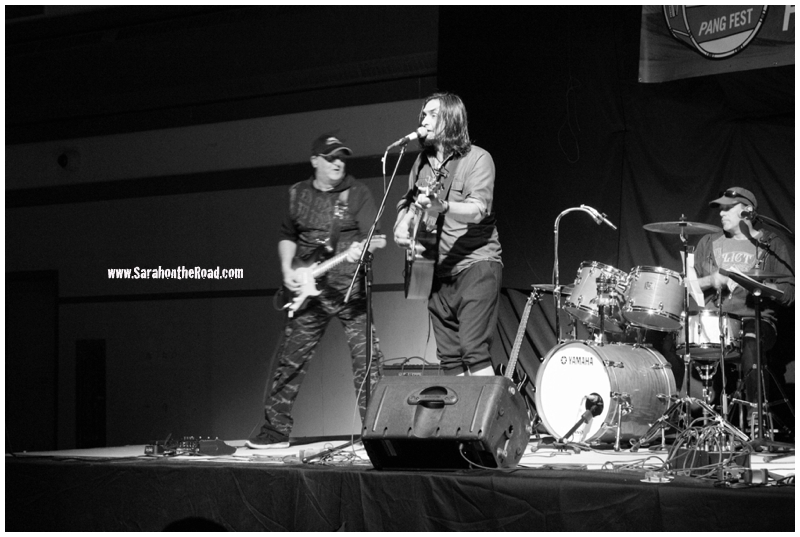 It was fantastic watching this band play–they really got into the groove and their enthusiasm was just contagious! 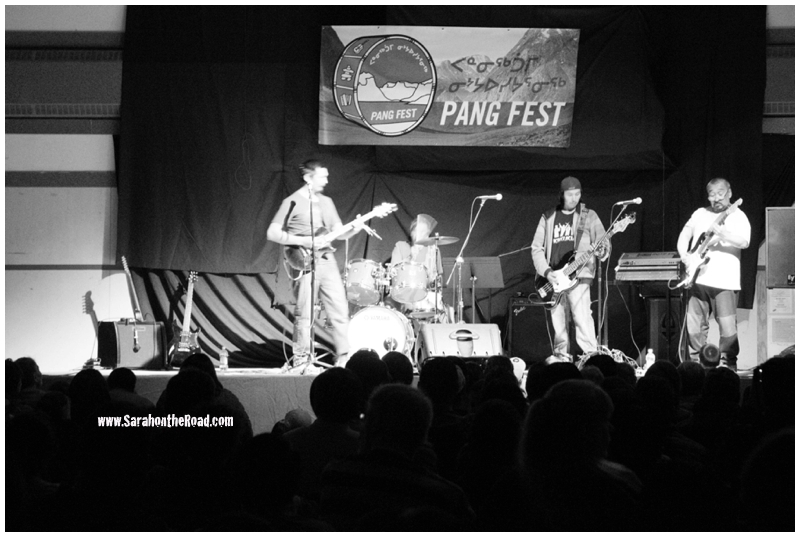 The Pang Music Festival will continue all weekend…if you are in town, should definitely go check it out! 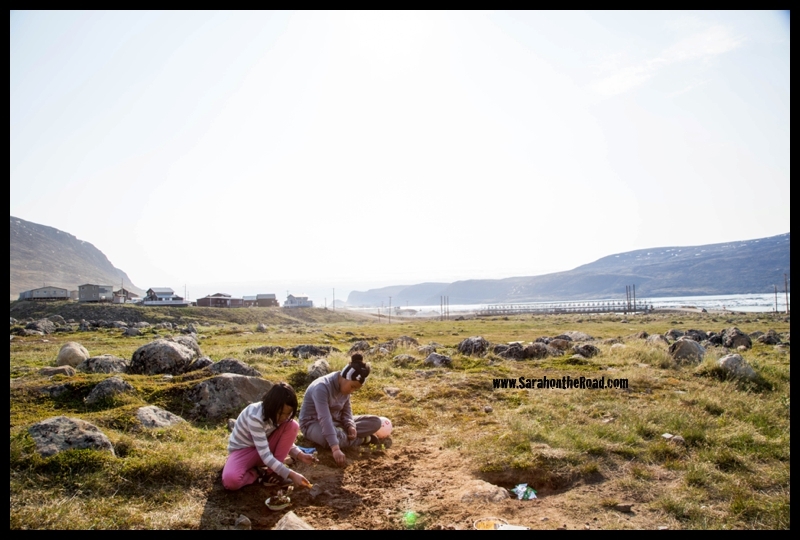 This entry was posted in Life in Nunavut on July 17, 2015 by Sarah on the Road. This past weekend was action packed fun with friends–all surrounded by great food and conversations! Saturday morning I went over to my friend Mary’s house for brunch. I didn’t take any photos! But everyone knows when you go to brunch at Mary’s house—you usually get amazing waffles, eggs and bacon! It was such a yummy way to start off the day. Later that evening…my neighbours and a few other friends joined for a BBQ behind our house! 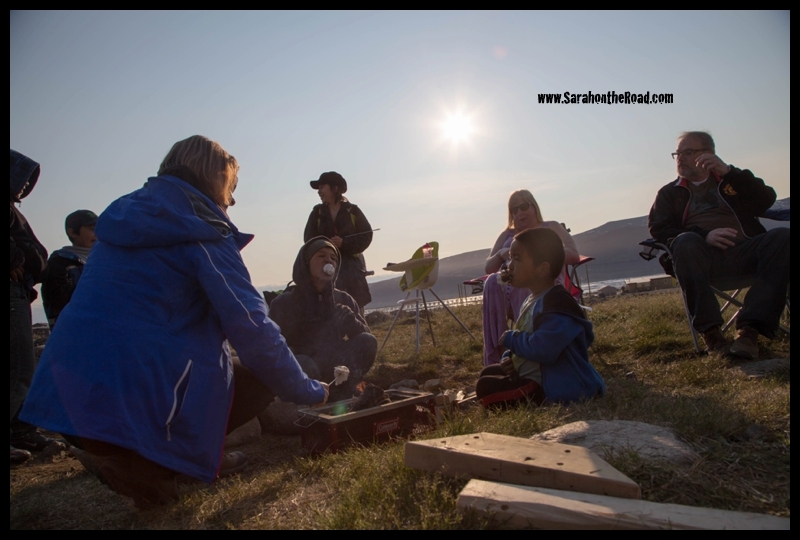 The guys took care of doing the BBQ-ing…and lighting of the fire for marshmallows… YUMMY! Thanks for doing the cooking! All four of the kids–searched for what they called “butterflies” and they would catch them…but they were some kind of moth..(I think, I didn’t look that closely). I must admit–after they were “caught” I’m not sure many of the ‘butterflies’ lived to tell their tale. But it kept the kids busy. It was a gorgeous evening for a BBQ! 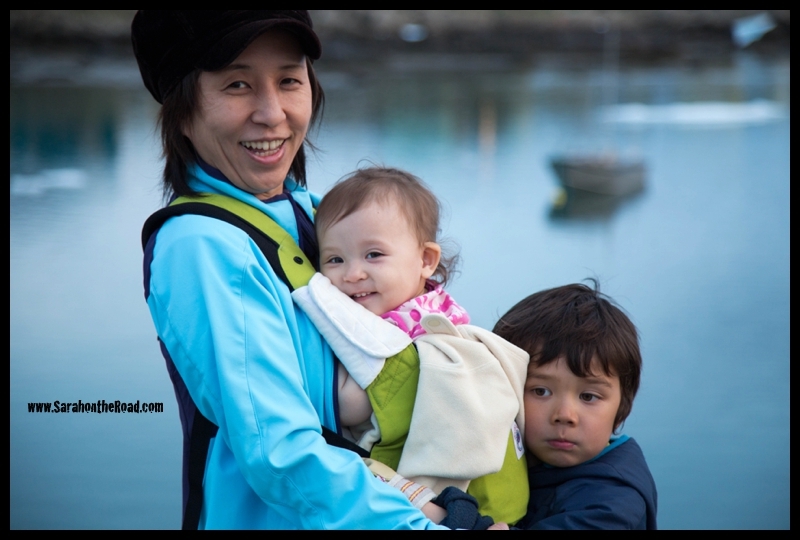 After having a crazy windy week—and bad weather it was nice to have the sun shining and no need for a jacket! I was super comfy in my hoodie. There’s something about marshmallow roasting that brings people together. 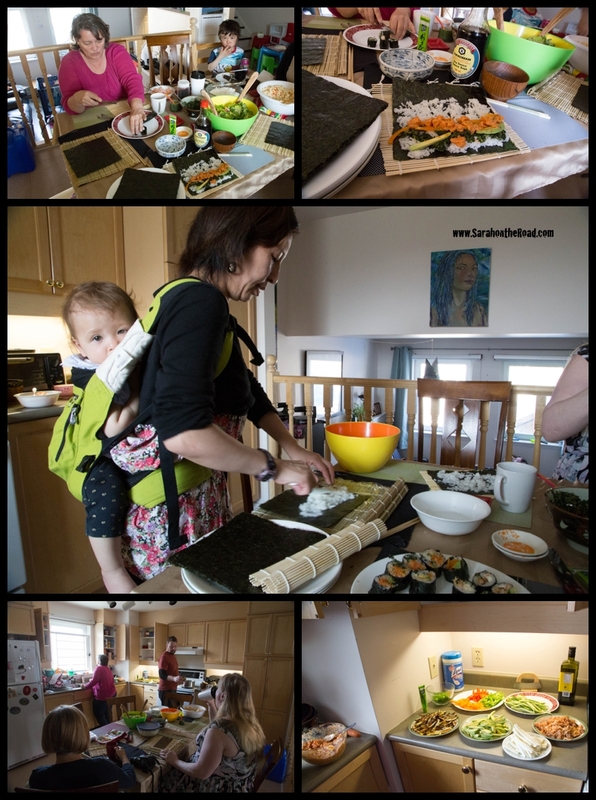 On Sunday a group of friends got together for a ‘sushi’ making party! My friend had caught a huge Char (this spring) and gave it to my neighbours and they decided to throw a party. 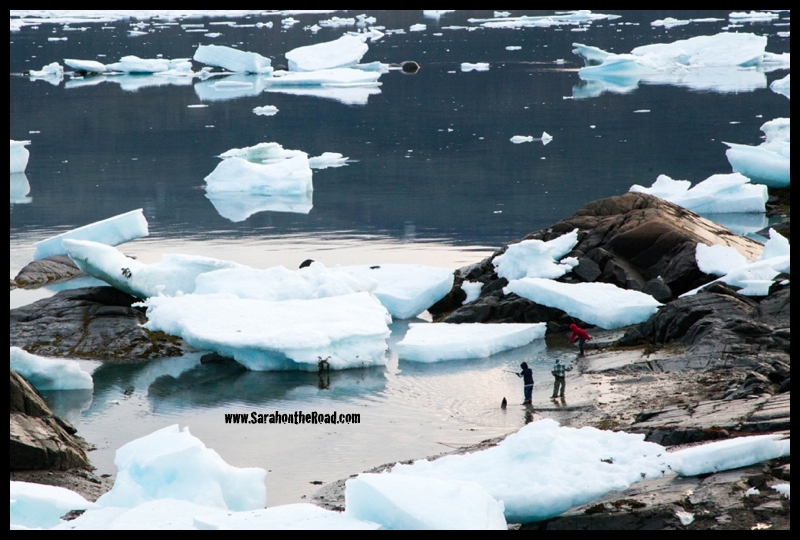 Who can say no to fresh arctic char sushi? Not me… It was so good…we made our own rolls, but Maki did all the crazy cutting and preparing for us. Thanks for hosting the party Maki it was a great lunch! It always amazes me that so much fun can happen when friends get together to share a meal together…another memory for the memory bank! Thanks for a great weekend. 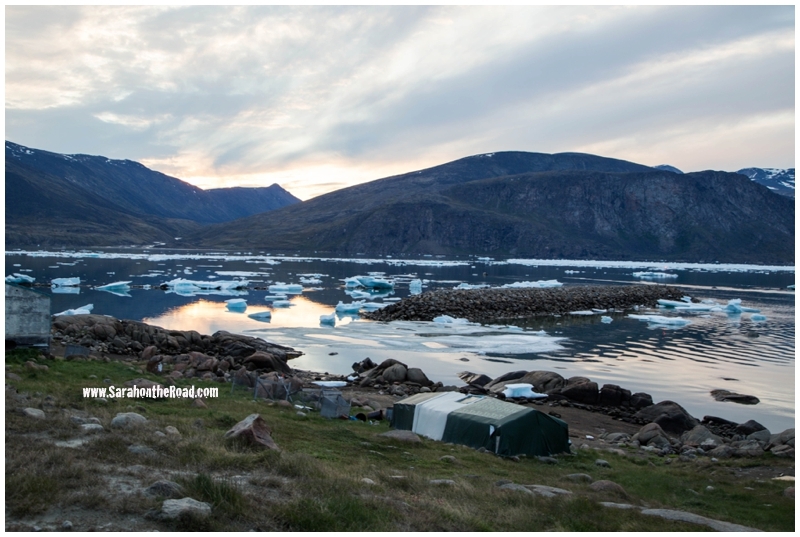 This entry was posted in Life in Nunavut, Whirl-Wind Weekends on July 13, 2015 by Sarah on the Road. 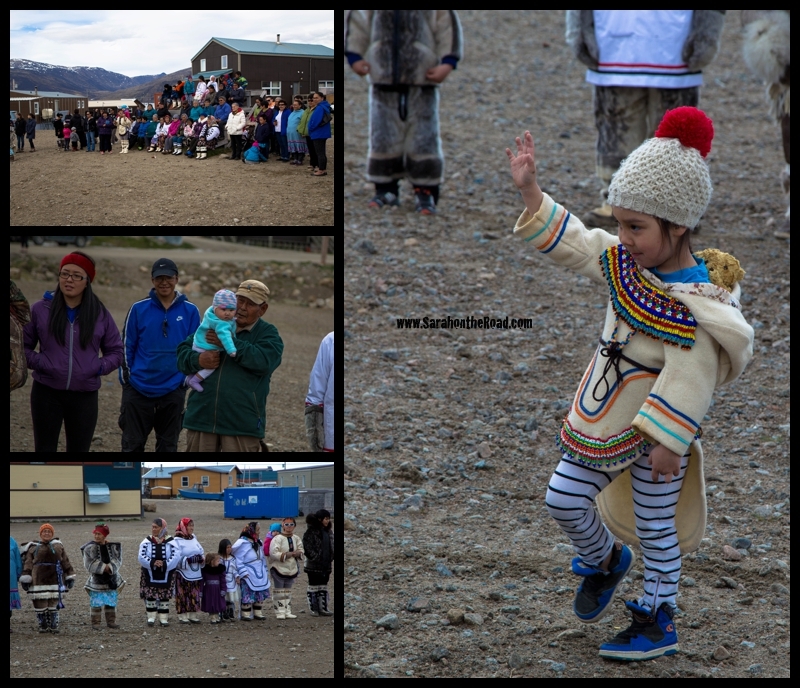 This morning in Pangnirtung there was a traditional dress fashion show…lots of amazing outfits. Then there was a BBQ that the Co-op for lunch…yummy burgers and hot dogs! 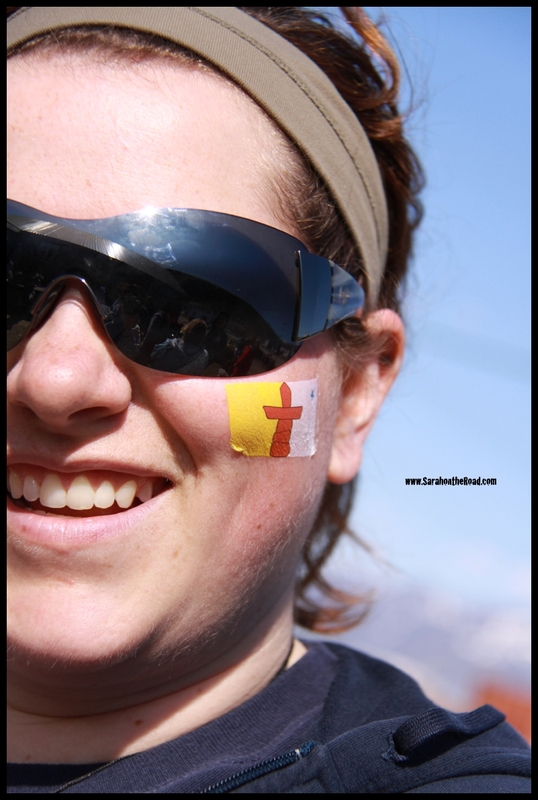 This afternoon there are more games and activities at the ball diamond. 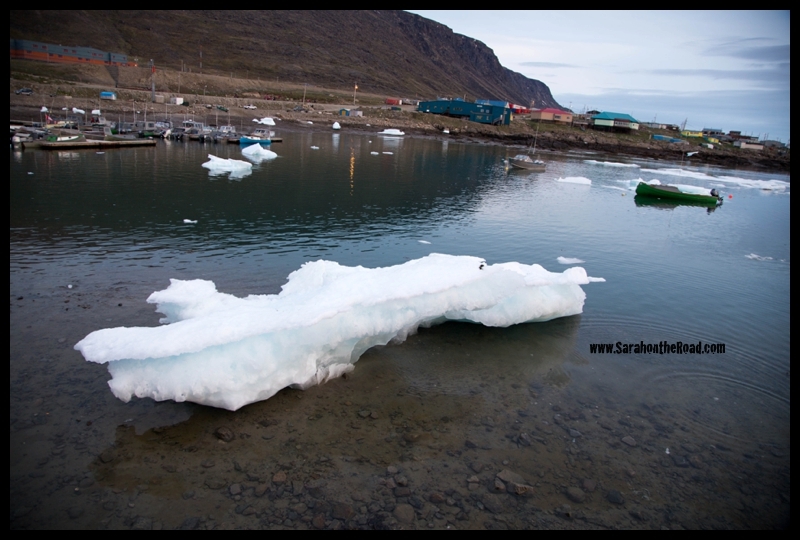 The weather finally cooperated; while still a bit chilly–the crazy high winds seem to have stopped! Hope you are enjoying your day. 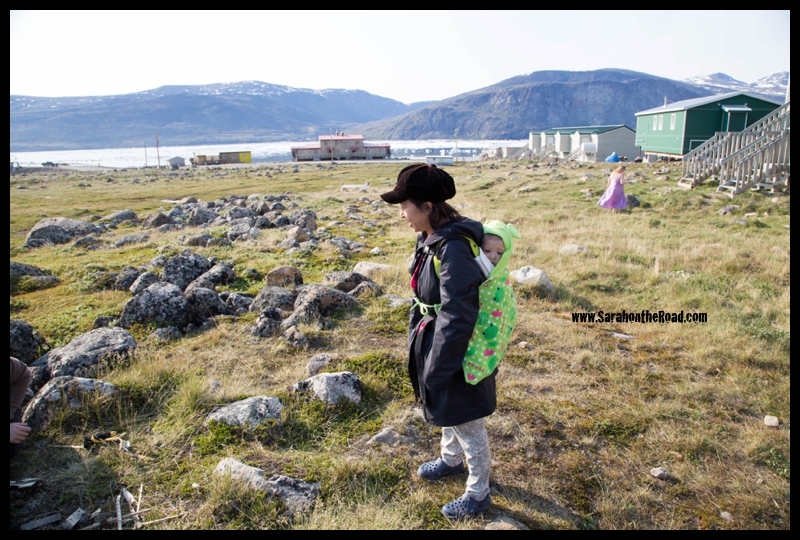 This entry was posted in Holidays, Life in Nunavut on July 9, 2015 by Sarah on the Road.